It may only be February, but 2019 is already looking set to be an amazing year for musical theatre, with Broadway showstoppers like Waitress, Come From Away and Dear Evan Hansen on the horizon, and home-grown musicals such as Six and the recently announced & Juliet making waves too. Aside from showcasing the breadth of the musical theatre genre, this theatrical line-up shares one other notable trait; they all feature an assortment of strong female characters in their ranks. And what better way to celebrate this vital leap in the right direction than a look back at almost 100 years of women in musical theatre? Enter West End Women, Lambert Jackson Productions’ one-night-only celebration of some of musical theatre’s most memorable female characters, brought to life by an assortment of musical theatre superstars. 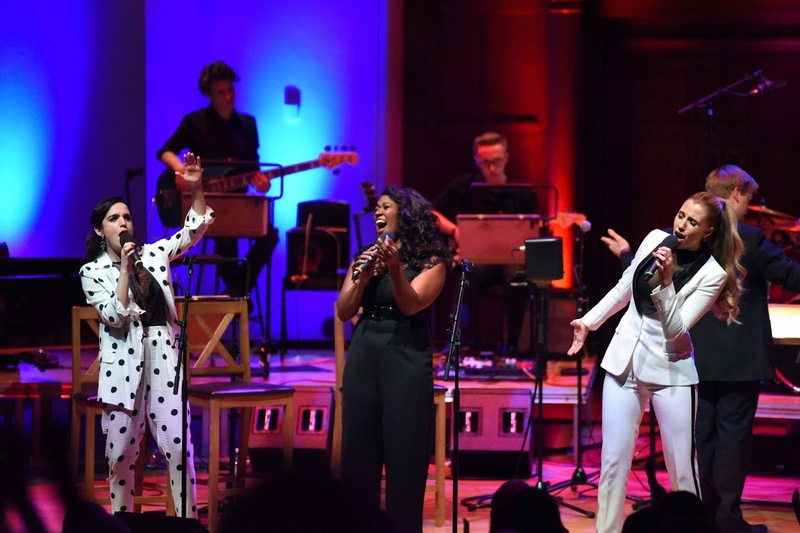 Headlining the concert were Rachel John, Lauren Samuels and Celinde Schoenmaker, three of the West End’s most dependable, versatile and spectacularly talented names. All three were given plenty of chances to shine in solo and group numbers. Rachel John delivered a hair raising rendition of Summertime from Porgy and Bess, whilst Lauren Samuels performed Never Enough from the 2017 hit film The Greatest Showman, and former The Phantom of the Opera star Celinde Schoenmaker revisited the mega musical to treat audiences to its ingénue Christine Daae’s star-making aria Think of Me. Not only was West End Women a stunning showcase for the talents of its headlining performers, it also shone a spotlight on the stars of the future. Several up-and-coming musical theatre voices were on display, including Lauren Shields, Kayla Carter and Martha Boon, who opened the concert’s second act with Chicago’s vicious Cell Block Tango, Brady Isaacs who commanded the stage singing A Piece of Sky from Yentl, and Talia Robens, whose rendition of Everything I Know from In The Heights was a striking tearjerker. The students of MX Masterclass, West End favourite Michael Xavier’s musical theatre training school, were equally impressive, bringing buckets of energy and pizazz to Blow Gabriel Blow from Anything Goes and America from West Side Story, accompanied by a peppy orchestra under the baton of Adam Hoskins. Despite the omission of several famous female-led musicals, West End Women was a magical musical theatre celebration. The concept was solid, the performances were uniformly faultless, and the audience was left tapping their toes at the joyful and empowering finale, I’m A Woman!